​This section includes service to my profession, service to university, and awards and grants that have recognized and funded service and community projects. Invited participant in International Living Future Institute’s 2018 Biophilic Design Forum, to gather leaders in higher education to discuss curricular innovation in higher education that promotes biophilic design. Carnegie Mellon University, October 1, 2018. Continued participation in the Biophilic Design Educators Network. ​​​INFLUENCING BEHAVIOR CHANGE through Outdoor Programming and Environmental Education: A State of Knowledge Review. Victoria Derr. A CONTINUUM OF PLACE: the Fort Ord Public History Project. Victoria Derr and Enid Baxter Ryce. HEALTH EFFECTS OF PESTICIDES: State of Knowledge Review. Victoria Derr. 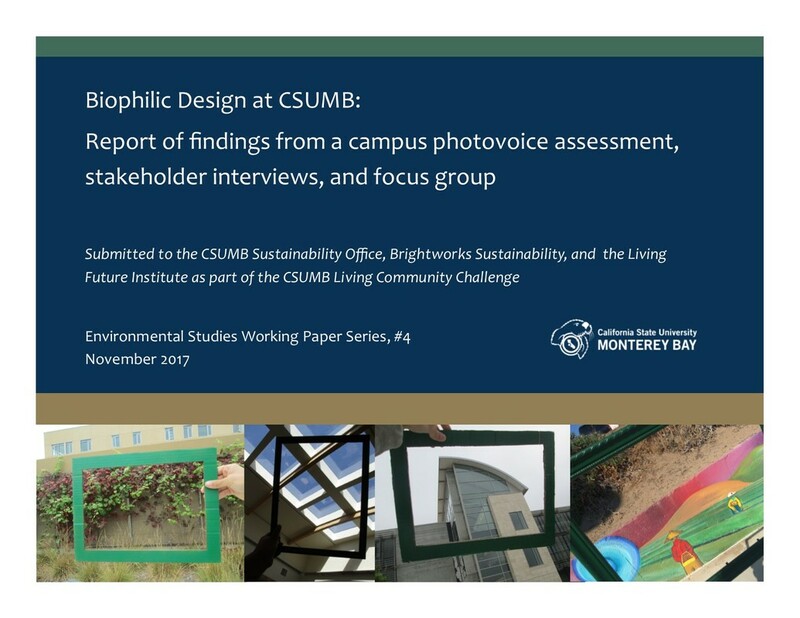 BIOPHILIC DESIGN AT CSUMB: Report of Findings from a campus photovoice assessment, stakeholder interviews, and focus group. Victoria Derr with ENSTU 350 students. SUSTAINABLE CITY YEAR PROGRAM AT CSUMB: Faculty reflections on the first three years. Victoria Derr and Dan Fernandez. 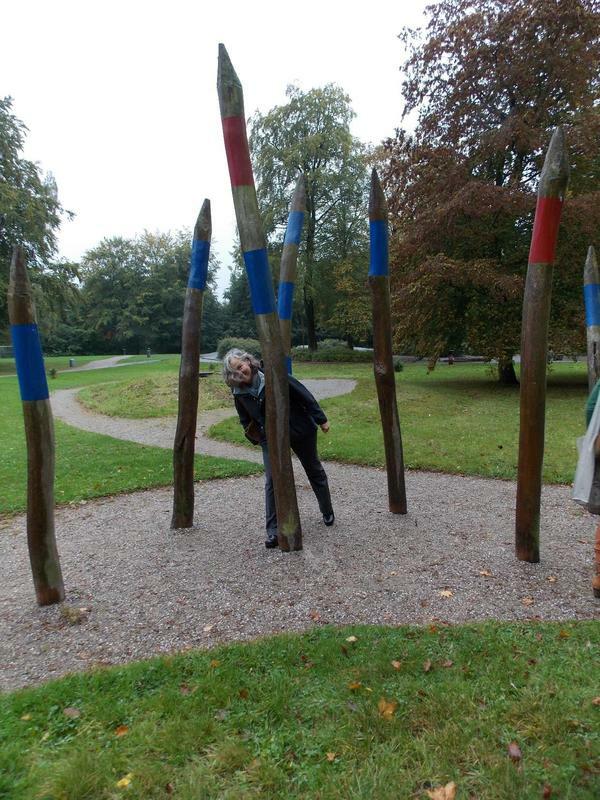 Along the 6 km "play route" in Odense, Denmark - a walking route designed to connect diverse places in the "City of Play"